This is Lambada documentation (more on this product here). You can skip the documentation with our 24h theme installation service. Whether it’s your own website or a client's, we can take the burden of installation off your shoulders. Theme installation includes full setup of the theme, plugins, settings, and demo content. Your website will look just like the demo within a few hours! 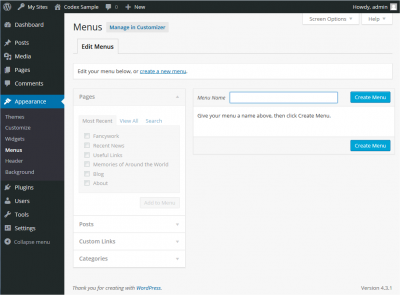 Lambada is a Wordpress theme, so you must install Wordpress first. There are several ways to install WordPress but the easiest way would be to use one of the one-click autoinstallers available from you hosting company. Click here to learn how to install WordPress with the most popular autoinstallers, WordPress Toolkit, Cloudron, Fantastico, Installatron, and Softaculous. After you activate the theme you are prompted to install these plugins with a single click, so the process is automatic. Upload this file (download it first by opening the link, click right & “save as”). You will need then to assign the menu from Dashboard/Appearance/Menus, configure widgets and set your Homepage & Blog from Dashboard/Settings/Reading. 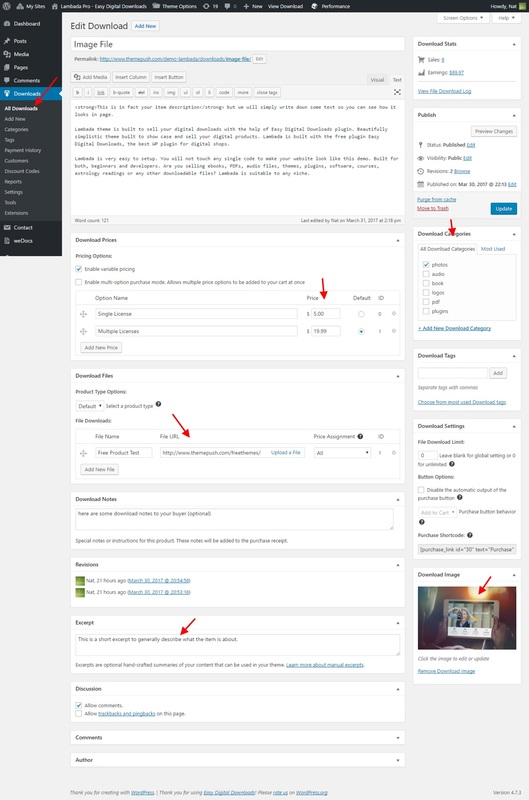 This is a limitation of WordPress’ import system. We will guide you how to do that in the next chapters. To import widgets you must have this plugin installed. After activation, go to Tools > Widget Importer & Exporter and follow the steps. Download this file to use it for this importer. A lot of steps introduced in the next chapters are no longer required if the Import Demo method described below is used. So make sure you don’t repeat yourself with unnecessary double tasks such as creating pages, populating products etc. Add 2 blank pages, one named Home and the other Blog. That’s it for now. Remember to uncheck “Discourage search engine…” once your project is ready! That’s it! Visit your website’s home, you will notice it looks just as the demo (we assume you have some products added, either manual or through Importer). If you have some products added, you should see the page populated as shown in the demo. An extended documentation for the shop area can be found at Easy Digital Downloads official website. 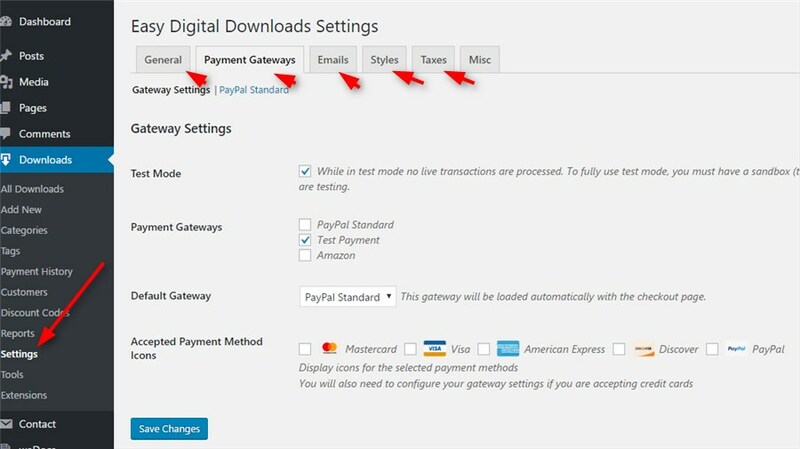 Once again, I should remind you that after installing Easy Digital Downloads plugin, it’s important that you go plugin’s settings (Downloads/Settings) and adjust all the options according to your needs (screenshots above). If you have already imported demo content, this step is no longer necessary. Lambada uses Contact Form 7 plugin. Navigate to Contact/Add New, create your form and copy the generated shortcode. Create a page, name it “Contact” (or whatever you like), paste the generated shortcode, then publish. Thank you for the prompt payment and a smooth transaction. Overall, fantastic! I’d recommend them to anyone looking for a creative, thoughtful, and professional team. Create a page as usual and select Lambada Toggle from Gutenberg blocks (Common Blocks). 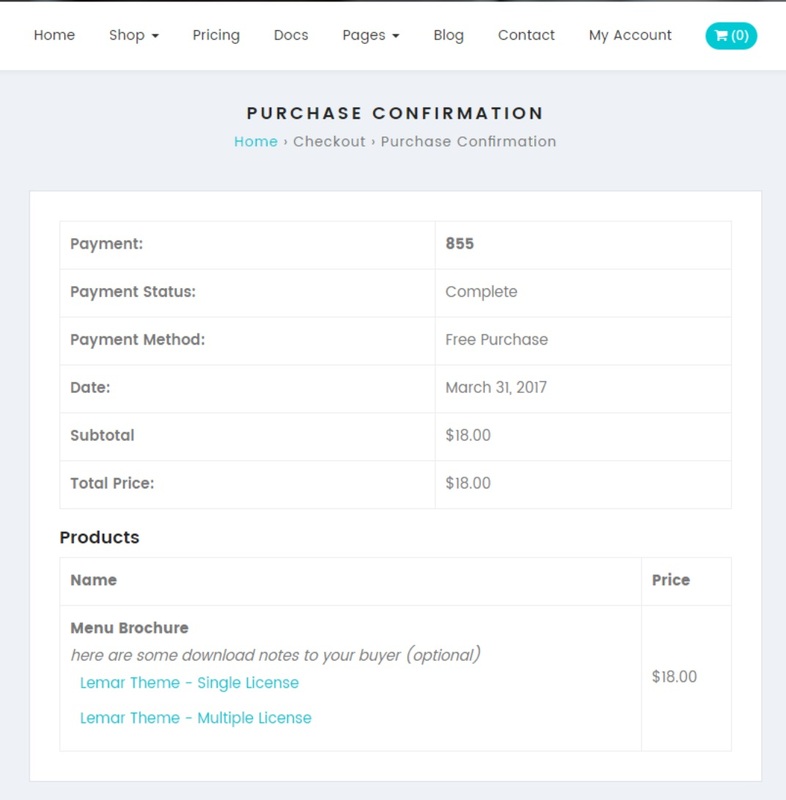 Create a page as usual and select Lambada Pricing from Gutenberg blocks (Common Blocks). Great! Now the final step, make the menu visible in site. 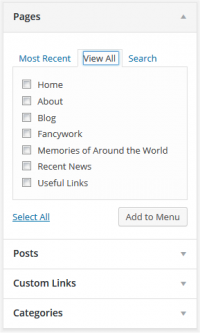 Lambada theme supports 2 menus - primary & footer. Check “Automatically add paragraphs” and save. "Lambada" theme is translatable. All you have to do is to install a specific plugin so you can easily translate the theme in your own language. We recommend you Loco Translate plugin. "Lambada" documentation is always evolving. If you have questions, please, submit a ticket here. Also, don't forget to subscribe for news, updates & releases!